LynnMarie’s nine-year-old son, James, has down syndrome and autism. 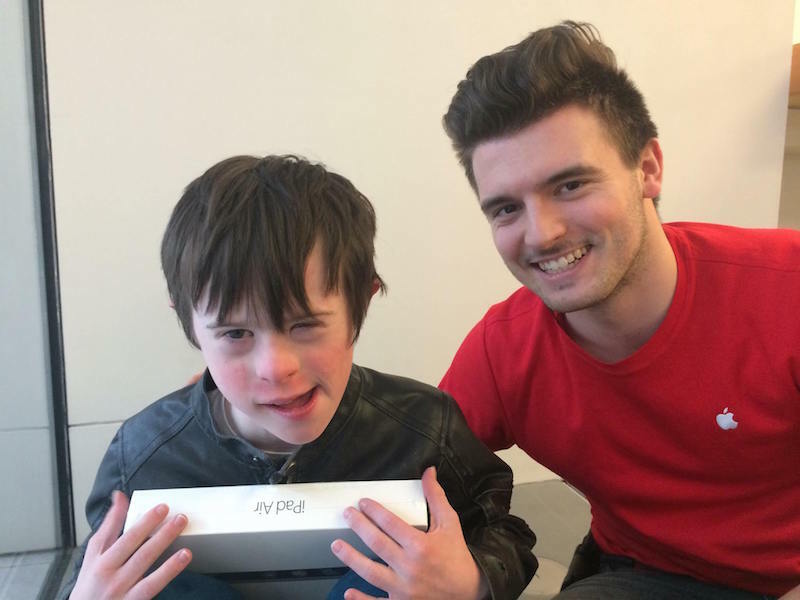 When James was three, LynnMarie bought him an iPad and soon realized it was an invaluable tool that helps James learn and communicate. So when his iPad recently broke right before a major snowstorm was scheduled to hit Nashville, LynnMarie knew she needed to pick one up ASAP. Running errands with the child can be exhausting and challenging, let alone a child with special needs – but LynnMarie and James were determined. They headed to their local Apple store in the mall for a new iPad before the storm came through. While inside the store, something triggered James and he took off running…. and smacked face first into a glass wall. LynnMarie Could feel the eyes of every stranger tearing through her son with judgment and discussed. But that’s when one of the Apple employees entered the picture, and did something LynnMarie never saw coming! Check the scenario that unfolded in the video below.